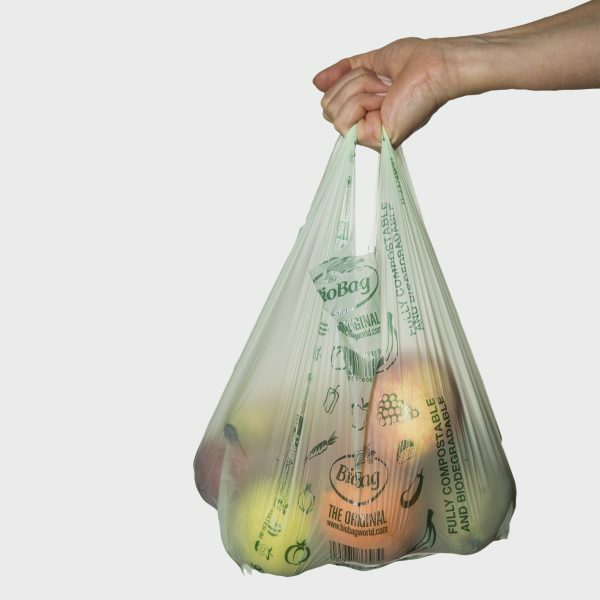 Our compostable fruit & vegetable bags is a great alternative to regular plastic bags. 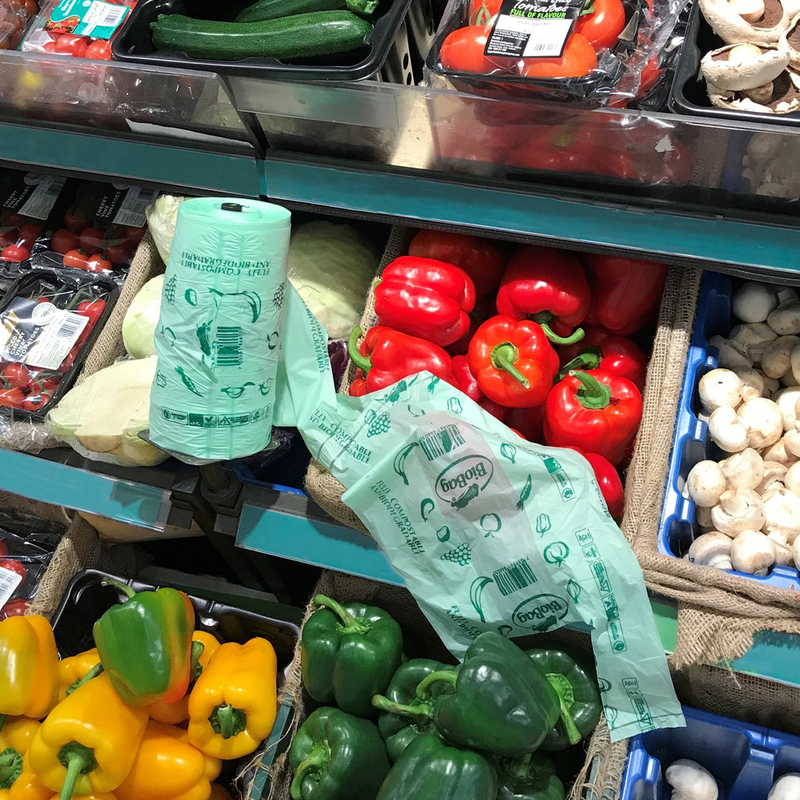 These bags can be composted together with food waste and at the same time the fruit stays fresh longer because of the breathability of the biobag. Compostable Fruit and Vegetable Bags are a great alternative to regular plastic. BioBag is a family of fully biodegradable and compostable bioplastics which use renewable resources to provide a solution with low environmental impact. BioBag products can solve specific environmental problems in various sectors, such as foodservice, retail, packaging and separate collection of organic waste and agriculture. All BioBag bags are fully biodegradable and compostable and, as such, can be reused also for the separate collection of organic waste. Compostable fruit and vegetable bags are certified compostable according to the European Standard 13432 standard. Today BioBag uses 4th generation raw material, with a higher content of renewable sources, as an alternative to fossil resources, and with increasingly high-performance mechanical properties. 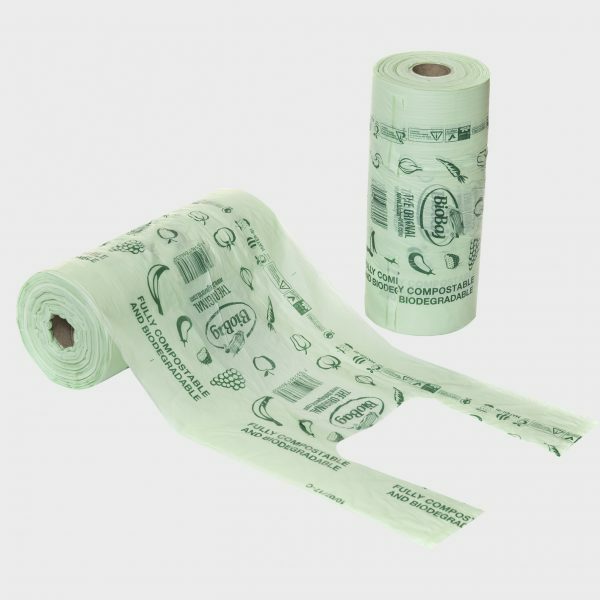 BioBag holds compostable and biodegradable certificates issued by several certification institutions like AIB TÜV (OK Compost), DIN Certco, as well as other specialized certifications. Our customers should be confident that they are using the best environmentally sound products with the highest quality.